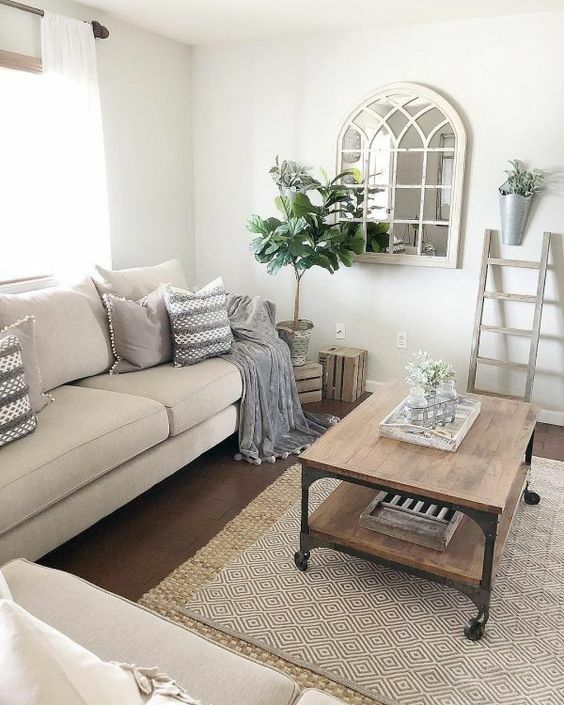 How to Make Your Small Living Room Feel Spacious | Ashgate Furniture Co.
We’re not all gifted with the open space living room we might dream of, so some of us have to make do with a tight little space and do the best we can. Which is why we’ve had a look at the highest searched questions about living rooms, and found there’s a lot of us needing help with how to make our small living room feel spacious. 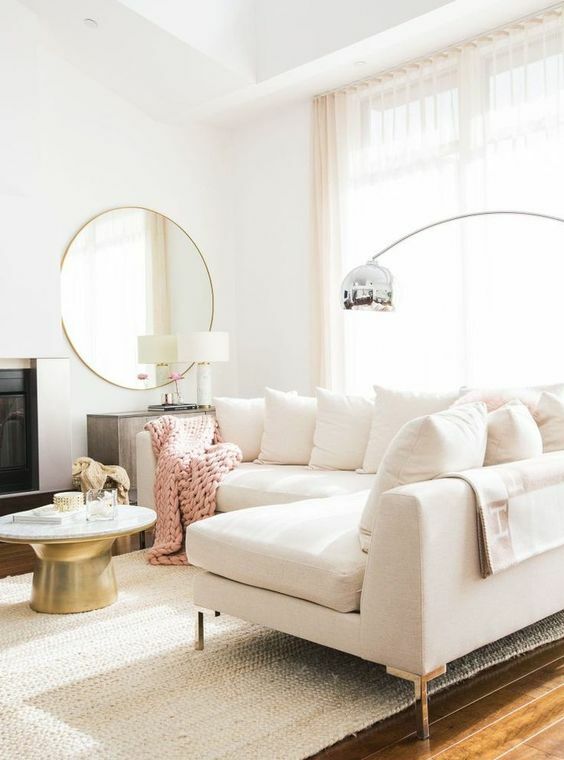 So, we’ve created a few tricks to try – some without even a penny being spent – to open up the room and make you feel a little better about your petite space. Create a flow through the room to make the space feel bigger. By keeping a centre piece – such as a coffee table – and spacing the furniture around this point, with enough space to walk around on each side, you’ll be able to make the room feel less squished. 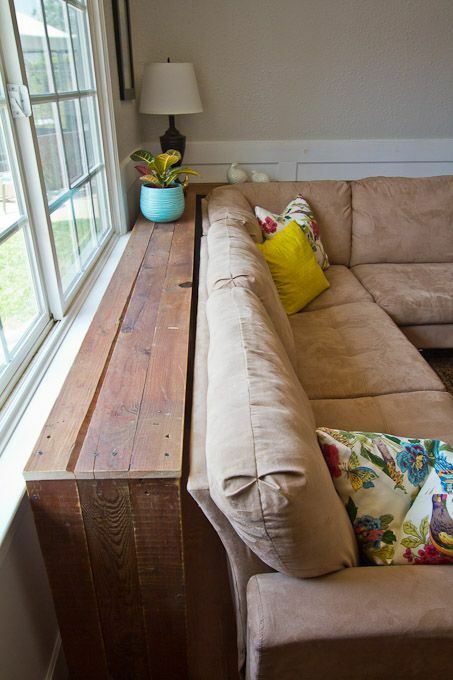 Alternatively, if the room is too small, skip the coffee table and use a nest of tables around the room. Of course, the easiest way to get more room in a small space is to de-clutter. But to the extreme. 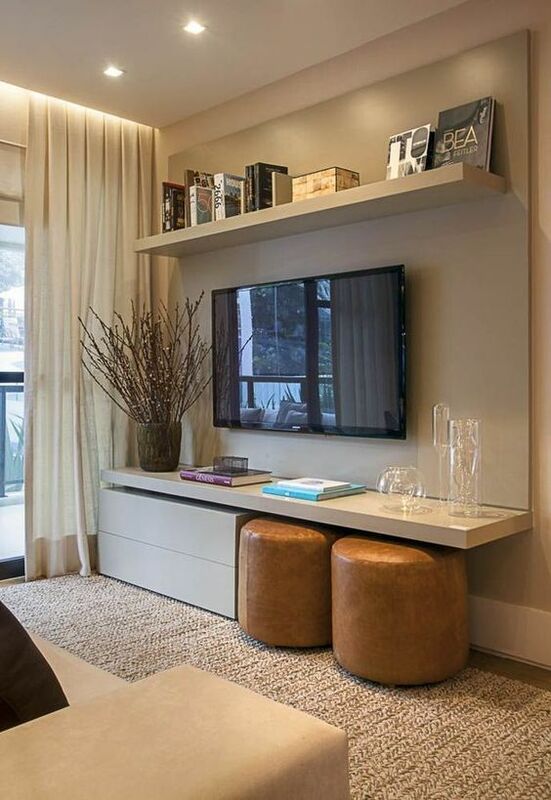 Minimalist style is your best bet for a larger looking room, so keep surfaces empty unless absolutely necessary. There’s nothing quite like the wrong curtains or blinds to make the room feel small and dingy. If anything, the more natural light, the bigger and more open the space will feel. Scrap the window treatments all together in the living room, or opt for a sheer voile to avoid getting rid of any light. Have you ever walked past a mirror in a restaurant and thought it was a whole other room? Well, that’s because they’re perfect for creating the illusion of more space. 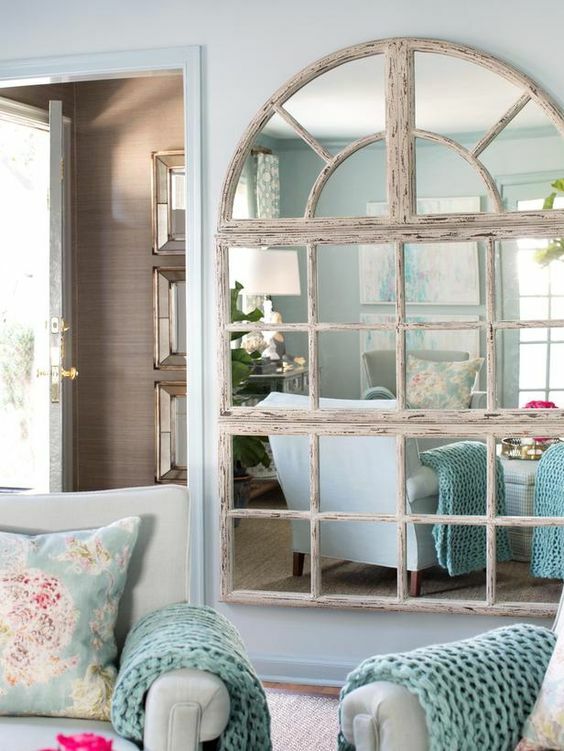 Using large mirrors such as this window-pane mirror, at eye level or lower will double the room’s size (not actually) and will bounce any natural light around the room, too. If natural light simply isn’t a valid option (say your living room windows look out onto the path), then opt for a neutral colour pallet. 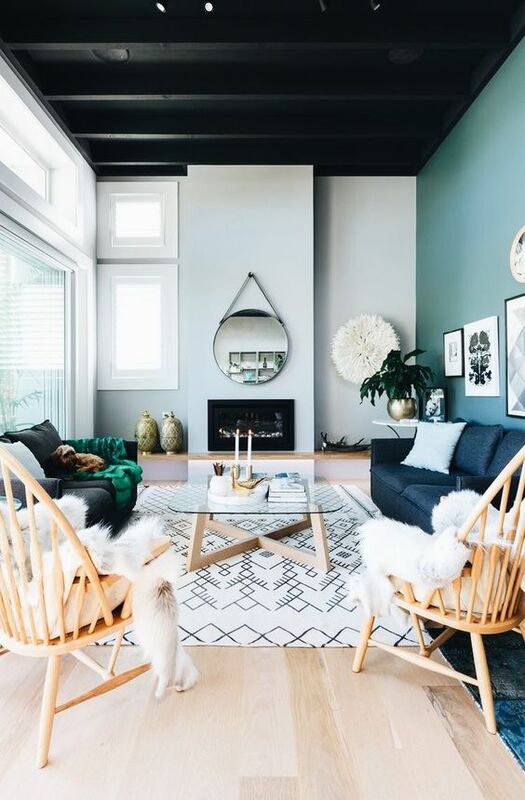 This Scandi style will keep the space looking fresh and light, even on the darkest of days. Here’s one we’d never thought of: Paint the ceiling? Apparently this little trick gives the impression that the room is taller than it is – making the living room look bigger. We’re not entirely sure on the legitimacy of this one, but would love to see some of your attempts! Having space between the walls and furniture tends to give the impression that there’s actually more space. Naturally, you’d expect to feel a lot more squished, but if you can leave that little space, guests will be essentially assuming how much space there is. Alternatively, use the space for storage. We’re used to seeing shelves midway up a wall, right? But moving them up toward the ceiling prevents them blocking up the wall space, and elongates the room instead. Sure, you might need a ladder to reach bits, but if you’re only storing decorations, you’re sorted! Remember how wearing stripes makes you look taller and slimmer? Well, strangely enough, using stripes in the house makes the room look bigger! This nifty optical illusion not only helps widen the room, but gives a retro, or coastal vibe – depending on the colours you choose! There’s nothing quite like a Sunday afternoon arranging shelves and making the house look neater. 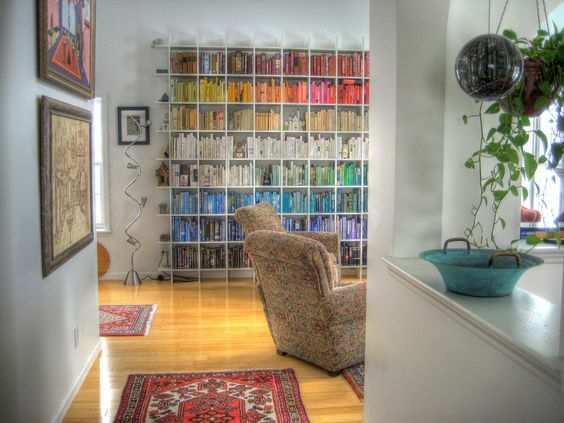 But this rainbow bookcase takes it one step further. Colour co-ordinating your shelving helps to keep the space, need, tidy and works as an additional decoration within the room. Obviously having see through furniture will really keep the space looking at optimum level, and will also help reflect that natural light just a little bit more. If you’ve got an open place area, but have a lot to cram in – such as the dining, kitchen and living areas are all in one – separate each space with a rug. Instead of using partitions or clunky furniture to separate pieces, or leaving the furniture with no system, rugs can group pieces together and provide a guideline and flow around the room. Glass tops and exposed legs – especially on the sofa help to keep the floor visible, and in turn elongates the room into a spacey haven. 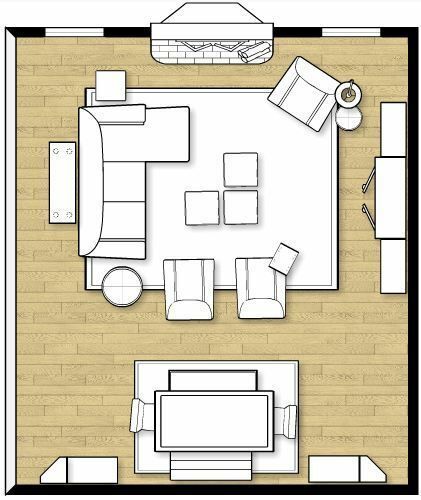 And there you have it – a guide to making your small living room look bigger. Let us know any other tips you’ve got to share with our readers!